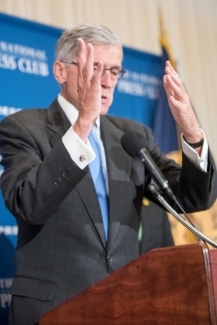 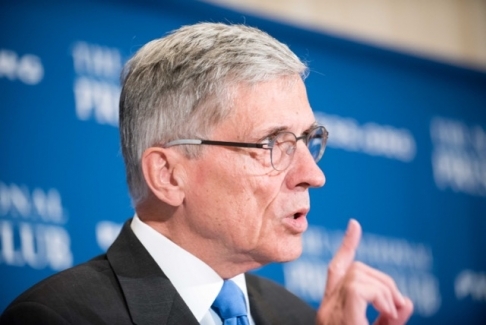 Federal Communications Commission Chairman Tom Wheeler speaks at a National Press Club luncheon, June 20, 2016. 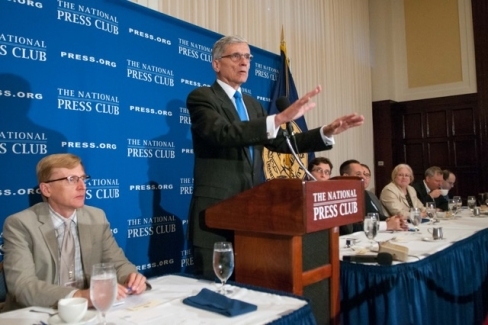 Joining Chairman Wheeler at the head table are (l-r) Jerry Zremski of the club's Speakers Committee; Jon Wilkins of the FCC, Gallup Managing Editor and News Director Art Swift, Larry Strickiling of the Department of Commerce, Amy Fickling of Warren Communications, Todd Gillman of The Dallas Morning News and Andrew Feinberg, freelance. 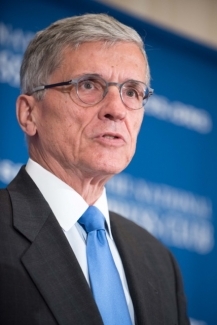 Chairman Wheeler boasted that 5G tech will allow gigabits of throughput in place of megabits. 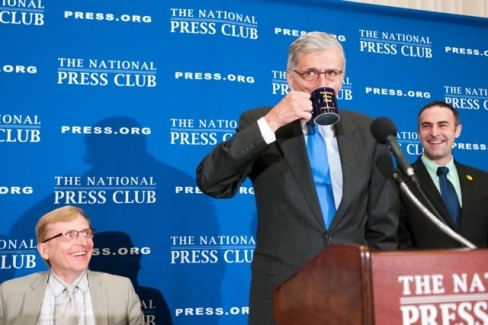 At the luncheon's conclusion, Chairman Wheeler filled his new Press Club mug from his water glass and prepared a long winded answer to a humorous final question.